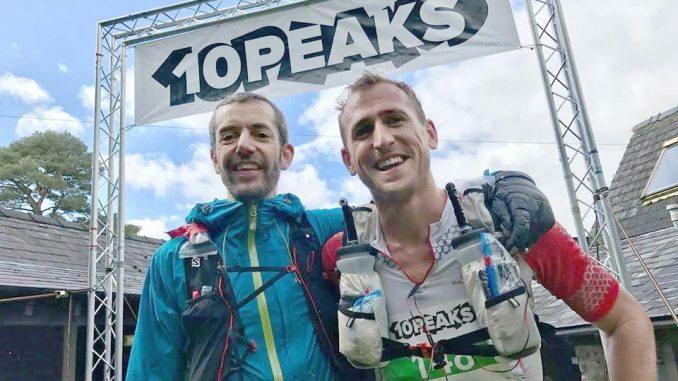 The first 10Peaks Brecon Beacons 2017 Results 2017 took place on Saturday 9th September with two versions of the event – a long course of 89 km and a short course of 58 km. The courses visit a predetermined list of peaks in a set order in the Brecon Beacons, South Wales. The courses are unmarked so runners have to navigate themselves. The short course includes 6 of the 10 highest peaks, and the long takes in the 10 highest peaks. Both courses have a 24 hour cut-off. There were 70 finishers in the long race and 65 in the short. Matt Tomlinson and Katie Hateley won the long course and Mathew Powell and Wendy Houvenaghe won the short course. Race Director is Shane Ohly, who also runs the Berghaus Dragon’s Back Race.